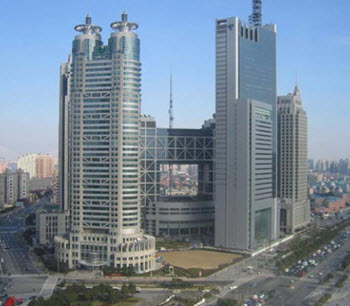 The Shanghai Stock Exchange (SSE) is one of three stock exchanges in China, the other two being the Shenzhen Stock Exchange and the Hong Kong Stock Exchange. SSE is still not entirely open to foreign investors, since Chinese mainland authorities are exercising very tight capital account controls. SSE is a non-profit organization administered by the China Securities Regulatory Commission (CSRC). The Shanghai Stock Exchange is Asia’s second largest stock market by market capitalization, and the fifth largest in the world. The old stock exchange in Shanghai closed after the Communist revolution. This incarnation of the SSE was established in late 1990 and commenced operations on 19 December that year. The three main categories of securities listed at the SSE are shares, bonds and funds. A shares are priced in Renminbi, while B shares are priced in United States Dollar. Earlier, A share trading was only allowed for domestic investors while B share trading was allowed for both domestic (since 2001) and foreign investors. In December 2002, the rules were changed and qualified foreign investors have since been allowed to trade in A shares too, within certain limits. The Qualified Foreign Institutional Investor (QFII) program was launched in 2003. The SSE treasure bond (T-bond) market is the most active one in China. Other types of bonds are also listed on the SSE, such as corporate bonds and convertible corporate bonds. SSE is open for trading Monday through Friday, except for holidays included in the SSE holiday schedule. 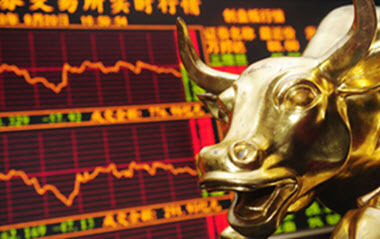 The most commonly used indicator for the market performance of the Shanghai Stock Exchange is the SSE Composite Index. This is a is a stock market index comprised of all stocks (both A shares and B shares) traded at the Shanghai Stock Exchange. Securities were traded in Shanghai as early as the mid-19th century and the first shares registrar appeared in 1866, but it would take until 1891 before the Shanghai Sharebrokers’ Associated was formed by foreign businessmen as a result of the boom in mining shares. In 1904, the association applied for registration in Hong Kong and took the new name Shanghai Stock Exchange. The early 1920s saw the formation of both the Shanghai Securities & Commodities Exchange and the Shanghai Chinese Merchant Exchange, and both merged with the Shanghai Stock Exchange before the decade was over. In the 1930s, Shanghai was a bustling financial center were foreign and domestic traders speculated in stocks, bonds, debentures and futures. In 1941, securities trading was halted by Japanese occupation and the Shanghai Stock Exchange wouldn’t be able to resume its operations again until after World War II. In 1949, the exchange was closed again as a result of the Communist revolution. On 26 November 1990, the Shanghai Stock Exchange was finally reestablished again and operations commenced on 19 December. It should be noted however that trading in treasure bonds had recommenced as early as 1981, followed by company stocks and corporate bonds in 1984.